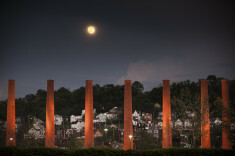 The open hearth stacks are all that remain of US Steel’s Homestead Works that was located on the Monongahela River in Homestead, near Pittsburgh, Pennsylvania. It is Mecca for millions of people. People of different faiths and cultures. People from different social and economic backgrounds. People that share one common and tragic bond. 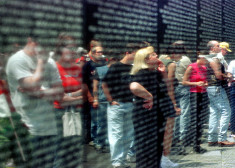 They are friends or relatives of men and women that died in America’s most controversial and unpopular war, Vietnam.